Lily flowers symbolize purity. 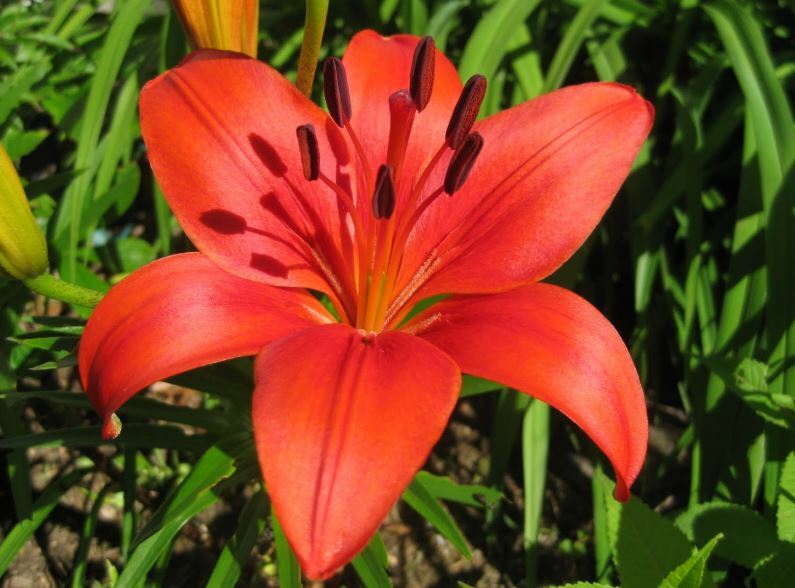 The first lily was depicted in Crete, Greece in 1580 BC. The most famous ones are the Easter lilies. Easter lilies came from Japan. They were brought in the U.S. in 1919. They are famous flowers because of their fragrance, beauty, and elegance. Your lily garden will look just perfect when the lilies will blossom. It is not difficult at all to grow lilies because they don’t need the soil to have a particular pH. Also, they can grow whether it’s sunny or light shade. One advice would be to plant them immediately after you buy them because their bulbs tend to dry out easily. When you plant the lilies in your garden make sure that you are going to place them 8 to 10 inches from the top of the bulb to the top of the soil. You can start planting them in spring so as the flowers to blossom in your amazing garden at the beginning of the summer. Thus, they need well-drained soil. In case the climate is always hot make sure that you place the bulbs 4 inched deeper in the soil in order to protect them. In case the climate is rainy then make sure that plant them at the side so as the bulbs won’t rot. Your lily garden will look even better if you plant three or more bulbs together. Once you have planted your lilies spread organic mulch. You could have longer lasting ones like cocoa shells, bark mulch, and wood chips. You should pay attention to pests and insects. The insects you should look out for are the beetles. They have red color and when you spot them pull them out immediately. If you want to cut lilies from your garden cut the 1/3 of the stem. 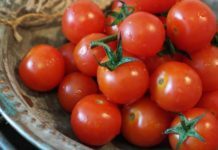 If you want to grow them so as to have them indoors then you should arrange your garden in a way that you will be able to cut them and re-plant them. As we mentioned before lilies are easy to take care of. The best zones for lilies to grow are 5 to 8. Some lily types can last through zone 3 (L. Canadense and L. Cernuum) and the Easter lily grows best in zones 7 to 9. There are many varieties of lilies that you can plant in your garden. You must know though that depending on the variety that you are going to plant they give flowers at different times within the summer. The great thing is that you will have flowers all summer long. The most famous types are the Asiatic lilies, the LA Hybrids, the Turk’s Cap lilies, the Trumpet lilies, which have two subcategories: the Aurelian Hybrids, the Easter lilies, the Tiger lilies and finally the Oriental lilies. Let’s examine some of their characteristics. The Asiatic lilies are one of the first varieties that will bloom in your lily garden. When they bloom they face upwards they grow best in zones 4 to 9. This variety needs the minimum 6 hours of sunlight. They need well-drained soil in order to grow. Don’t forget to add fertilizer in order to help them grow and you will have amazing blossoms. 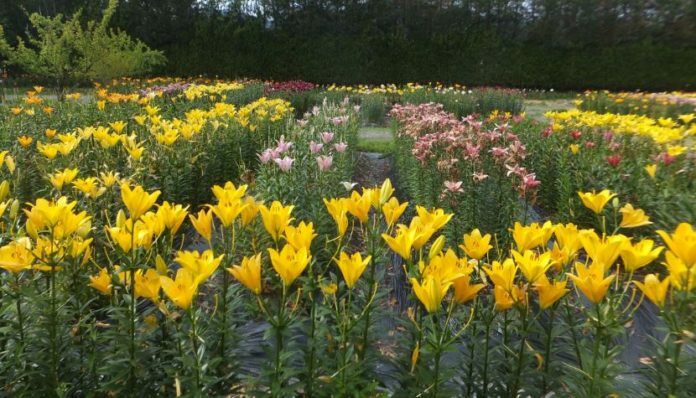 The LA Hybrids are another version of the Asiatic lilies and they are in comparison to the Asiatic lilies new. They combine the perfect aroma of the Easter lilies and the huge flowers of the Asiatic ones. They are the perfect combination. The particular variety can grow up to 30 inches and they have dazzling bright colors like red, orange, yellow, peach, and pink. You can imagine how stunning your lily garden will be. The Turk’s Cap lilies are also known as the Martagons (Lilium Martagon). Each stem can produce the most 20 blooms, they are delicate lilies and they can grow up to 4 feet. What is special about them is that their petals curve backward. The most common color in this variety is the orange freckled ones. They are quite famous because they are edible and for that, they were almost extinct. They need the soil to be a bit acidic in order to grow. Also, you can cut these ones from you lily garden and keep them in a vase. They last for a long time and they will leave a beautiful scent. The Trumpet lilies took their name because of their shape trumpet-shaped ones. They bloom in the midsummer and they are 15-25cm long. They have different colors from pure white to yellow, pink plum-apricot and gold. They produce 12 to 15 blooms and they are divided into two subcategories: the Aurelian Hybrids and the Easter Lilies. The Aurelian Hybrids need a lot of sun and moisture in order to grow. When you plant them make sure that you’ll leave 4 to 6 inches and 8 inches deep. 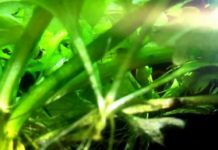 You should plant them as soon as you have them because they need the moisture. Keep in mind though that they don’t need a very hot climate. The Easter lilies (or else Lilium longiflorum) are perfect to plant them in your garden. They are famous because they tend to grow during the Easter time. You should water them when the soil seems to be dry. To make sure that it grows well add mulch and fertilizer but do not overdo it. Tiger lilies (or else Lilium Lancifolium) grow best from zones 3 to 9. They can be up to 4 feet tall and they have huge, freckled blooms that hang and they have curved petals. Their color varies from red, yellow and orange. 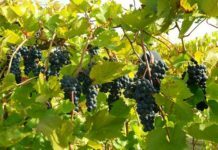 This variety can produce many blossoms. The Oriental lilies could also be an amazing addition to your lilie’s garden. The Oriental lilies are the last to bloom during the summer time. They have an incredible aroma and their blossoms can be up to 10 inches. They have a huge variety of colors that you can choose from and you can have them either in your lily garden or even in a vase. You can create the perfect lily garden because there are different varieties of lily flowers. They are famous flowers because they are easy to grow, they just need a warm climate, moisture, and good care. Once you provide the lilies with these you will have a variety throughout the summer that will have different colors and fragrant. You can choose to plant some of them in your lily garden or all of them. It depends on the space that you have. Keep in mind though that you shouldn’t let your cats around them because they are quite toxic to them.